Fasterfox 2.0.0 is an extension that you can use in tweaking Firefox so that it will run faster. Fasterfox 2.0.0 was released on the 30th October 2016. It can increase the web surfing performance by caching all the links within the webpage. You can set the maximum capacity for the memory cache and disk cache. Caching links means that the links have already loaded and ready for visit. It will silently load the links in the background without interrupting your browsing of the webpage. It features a split second page load timer that allows you to test the efficiency of the settings. The popup blocker allows you to block the flash popup advertisement that tend to take up a lot of bandwidth. You can choose from 5 options to speed up the performance of your Firefox browser. If you have fast broadband connection, the prefetching feature will be suitable for you. Fasterfox 2.0.0 offers several options under the preferences to optimize your Firefox browser including default, courteous, optimized, turbo charged and custom. If you want maximum performance on your Firefox browser, the Turbo Charged option is the best option. You can enable fast back to allow the webpages to load faster. You have the option of setting the number of pages in memory. The prefetching feature means the downloading of pages will automatically begin as soon as you are on the site. Fasterfox gives you the ability to tweak the rendering settings such as DNS cache, pipelining and initial paint. Fasterfox supports many different languages. Although it does take up some memory and bandwidth, it is able to effectively improve the speed of your web browsing. 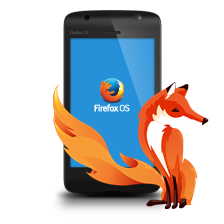 Fasterfox 2.0.0 is compatible with Mozilla Firefox version 1.50 – 2.0.